A second teaser trailer upcoming Konosuba (Kono Subarashii Sekai ni Shukufuku wo! 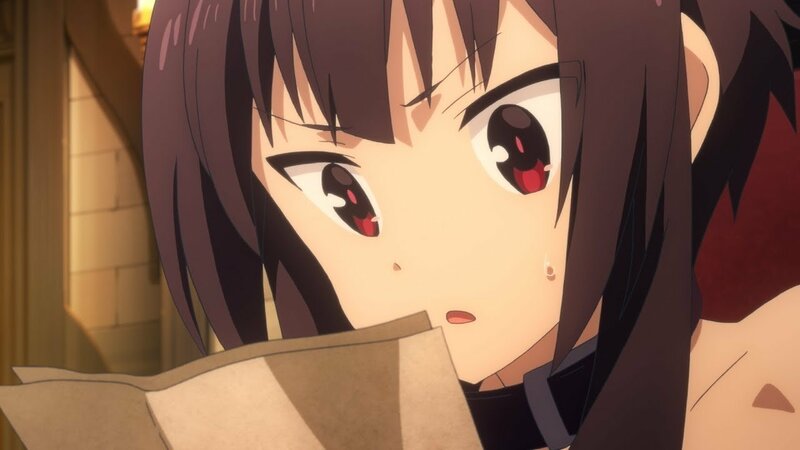 – God’s blessing on this wonderful world) anime movie Konosuba: A Crimson Tale began streaming on its official site. The film will open in Japanese theatre on July 12 this year and will be handled by the same staff of studio J.C.Staff which did the previous two seasons. The movie name “A crimson Tale” indicates that the movie will adapt Volume 5 which instead of being a compilation movie. Volume 5 follows the afterward story when Yunyun burst into the Kazuma and his crew’s less-than-relaxing vacation with shocking news-that the Crimson Magic Clan is in danger, and she wants to bear his children to save it! Kazuma returns with her to the village, but the situation isn’t quite what he expected. If you are unfamiliar with KonoSuba then KonoSuba: God’s Blessing on this Wonderful World! is a Japanese light novel series written by Natsume Akatsuki which follows the story of Kazuma who died a laughable and pathetic death on his way back from buying a game, high school student and recluse Kazuma Satou finds himself sitting before a beautiful but obnoxious goddess named Aqua. She provides the NEET with two options: continue on to heaven or reincarnate in every gamer’s dream—a real fantasy world! Choosing to start a new life, Kazuma is quickly tasked with defeating a Demon King who is terrorizing villages. But before he goes, he can choose one item of any kind to aid him in his quest, and the future hero selects Aqua. But Kazuma has made a grave mistake—Aqua is completely useless! The Light Novel has been adapted into two animated series with the same name consisting of 10 Episodes each. An anime movie is underwork which is named as “KonoSuba: A crimson tale” and will release in 2019.